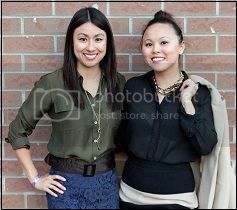 We were recently invited to the official launch party of Kanji Sushi in Toronto. I really didn’t have to be asked twice! They had me at the word “sushi”. 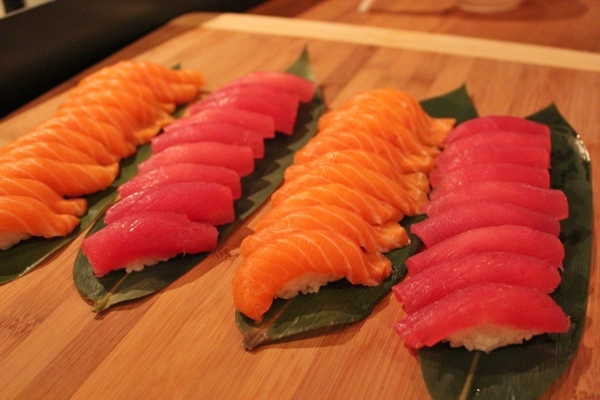 Located in Parkdale, Kanji Sushi isn’t your typical sushi joint. With a bar and softly lit dining area, Kanji has a cozy lounge-like feel to it. As the music pumped and guests poured in, I headed over to the bar to try a few cocktails. You really can’t stop at one, Kanji has some killer drinks. The Ginger Mojito and Mantango bevies are a must-try! While guests sipped on cocktails and chatted away, servers manoeuvred their way around the room with bite-sized appetizers to keep our hunger at bay while we waited to experience Chef James Gao (Nobu, Yuzu) creations at the sushi bar. These were gobbled up very quickly, people couldn’t grab them fast enough! 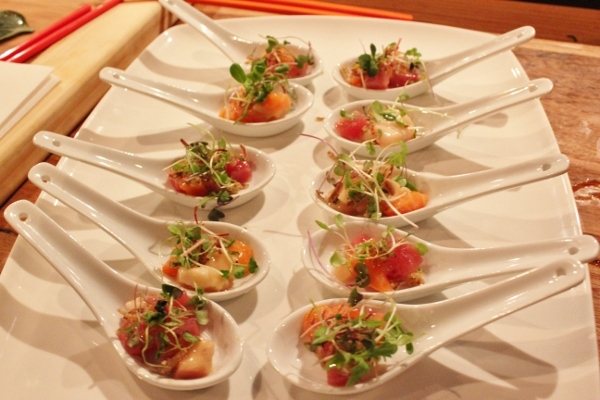 When Chef James Gao was ready to roll (no pun intended), guests eagerly lined up at the sushi bar. Despite being bite sized, the sushi was loaded with flavour and different textures. While we mostly sampled the classic fare offered at sushi restaurants, there were also some interesting choices. Such as Sushi Tortilla (tuna, salmon, avocado, cilantro, onion, jalapeno, grape tomato, eel sauce and wasabi mayo topped on a crunchy tortilla) and Fish N’ Chip (spicy salmon, rice seasoning spooned on a crispy baked potato chip). I loved the Sashimi Salad, a mix of contrasting and distinctive flavours – mixed greens, orange, mango, assorted fish, chili yuzu sauce and fried leeks. 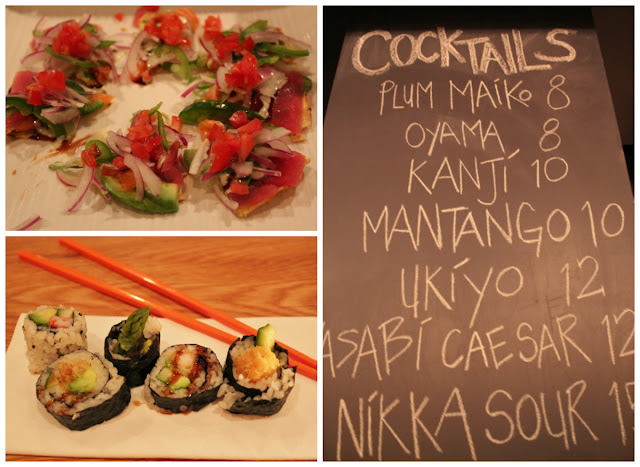 Kanji serves up fusion cuisine that merges traditional Japanese recipes with French and Italian influences. 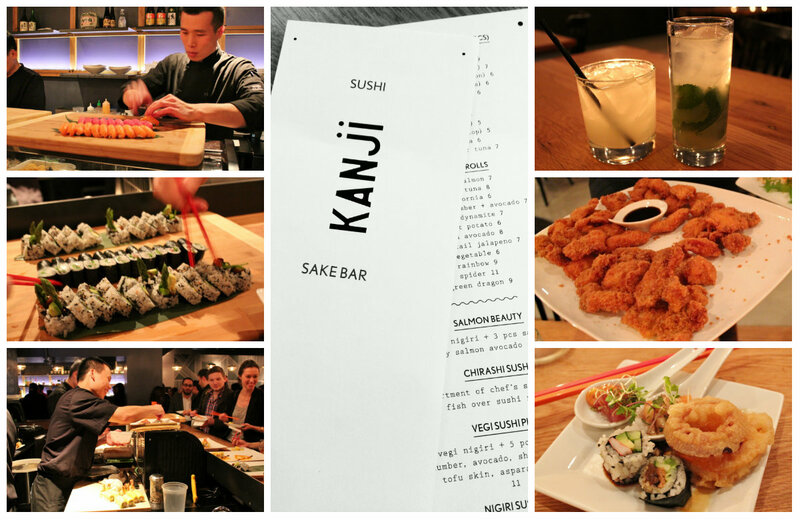 The launch party was only a small taste of what Kanji has to offer. Their menu is full of interesting options that are beautifully plated and presented. I am definitely returning to try out other dishes on their menu. If you don’t have time to dine in, Kanji also offers take-out!